Mayo is the perfect day trip when you’re staying at the Travelodge Ireland budget hotel in Galway city. The county is chock full of great visitor attractions and a poster child for the Wild Atlantic Way. There are majestic mountains, stunning sea views, ancient monuments, top adventure centres, great towns with excellent restaurants and pubs. There’s only one problem, how do you choose just five? Well, here’s our best shot, read on for our 5 Must-see Attractions in County Mayo. An award-winning tourism innovation in Ireland, the Great Western Greenway starts in the splendid heritage town of Westport and finishes on the stunningly beautiful Achill Island. In between is some of the most incredible scenery that Ireland has to offer. Cycle or walk along this 42-kilometre route of quiet roads, bog-land trails, coastal views and mountainous prospects and take detours along the route to fascinating visitor attractions like the famine village in Achill, Croagh Patrick and the Ballycroy National Park. The charming and beautifully preserved town of Westport is dominated by Westport House, whose owners, the Brownes, created the town in their own image back in the 18th century. The house and gardens are well worth visiting and there’s also a vibrant family play park on the grounds to enjoy. The town itself has a terrific mixture of welcoming cafés, top class restaurants and pubs that host some of Ireland’s best traditional musicians and singers on a nightly basis making it a great place to relax and cut loose. 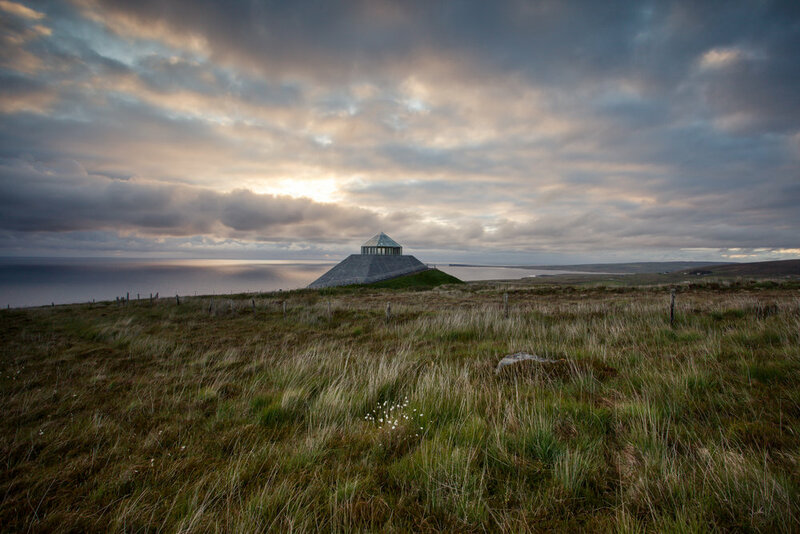 The Céide Fields in North Mayo are world-leading, they’re the most extensive stone age site in the world. Discovered first in the 1930s and preserved for over 5,000 years, the site is a remarkable collection of stone walls, field systems, enclosures and tombs which were preserved beneath a bog. The excellent and interactive visitor centre explains much more about the amazing geology, archaeology, botany and wildlife of the region. If you’re staying in Galway for a few days, a trip to County Mayo is always recommended. Force yourself to leave our comfortable rooms in the Travelodge Galway Hotel. Get out of our comfy beds, leave our spacious en-suite bathrooms, flat screen TVs and free, fast and unlimited Wi-Fi behind and take in the magic of Mayo without any delay. Sister site to the NMI locations on Dublin’s Kildare Street and in Collins Barracks, the National Museum of Ireland – Country Life in Turlough Park House in Castlebar is always a treat to visit when you come to Mayo. The award-winning museum tells the tale of Irish country life between 1850 and 1950 through interactive exhibition galleries including archival TV footage and live demonstrations of rural skills, many of which are now lost to modern Ireland. Visitors to this museum of Country Life can enjoy a range of public programmes including weekly craft workshops during their trip to Castlebar. There are only three fjords in Ireland and the unique wild beauty of Killary Harbour in County Mayo is perhaps the most beautiful one. Killary Harbour extends inland some 16 kilometres from the Atlantic Ocean to Aasleagh and forms the border between Mayo and County Galway. Its very deep and very sheltered anchorage on Ireland’s western coastline make it ideal for shellfish farming and the local seafood is always worth a detour to the local pubs and restaurants. But the incredible scenery available at Killary Harbour is what this trip is all about. The amazing contrast between the deep inland water and Mweelrea, the highest mountain in the province of Connacht, as well as the views of the Twelve Bens and the Maumturk Mountains to the south make visiting Killary Harbour a simply majestic experience. It’s well worth taking a boat trip around the fjord to get the full benefit of this unique location and if you have time take a guided walk along the Famine Trail on the banks of the fjord.